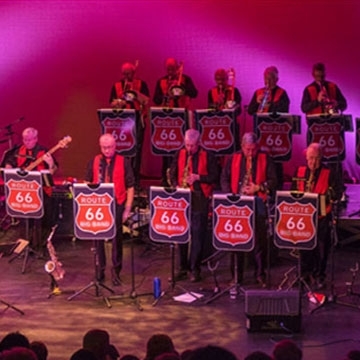 Route 66's Live in Concert Show has been an outstanding success over the past two years in theatres in Ireland. Their programme takes the audience on a musical trip from the big band era of the 40’s right up to date including numbers made famous by Count Basie, Glenn Miller, Frank Sinatra, Bobby Darin, Adele, Tina Turner, Tom Jones, Joe Dolan, Amy Winehouse and many more and has something to please everyone, from 18’s to 80’s, which has been the key to the success of this show and brings audiences back again and again. Please feel free to join them on the memory train, kick off your shoes and sing along with all these fantastic numbers and they can guarantee you will be hoping that the night will never end.